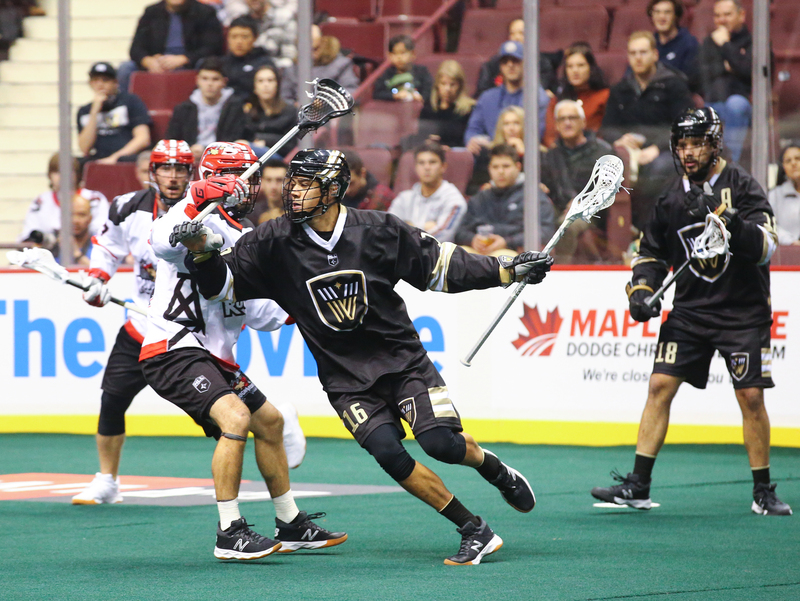 The Vancouver Warriors took to the floor for their second to last home game of their first full season of Pro Lacrosse and hammered the visiting expansion Philadelphia by a 19-12 margin. The Warriors were led by Keegan Bal with a 14 point performance (5 goals and 9 assists) in front of 5,200 avid fans that saw many young players from Delta Lacrosse on hand, probably cheering for both Logan Schuss and Mitch Jones. 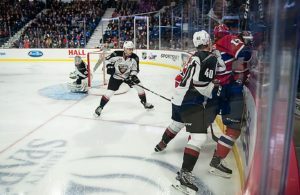 The win was their largest of the year on home turf that saw Philly open the scoring with the game’s first goal off the stick of Blaze Riorden 17 seconds. in. 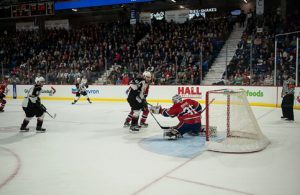 The first goal seemed to wake up the Warriors that saw them run nine (9) straight goals in an explosion of offence. The Warriors opened a 9-1 lead on the Wings after the first quarter all led by Keegan Bal’s hat trick (3 goals) with Mitch Jones and Jordan McBride each adding a pair with singles from Logan Schuss and Brandon Goodwin. Vancouver scored twice in the second quarter as Jordan McBride collected his hat trick while Schuss collected his second of the game grabbing a 11-2 lead at halftime. The second half saw the Warriors and Philly trade five goals, but the last quarter saw the Wings come alive outscoring the home squad 5-3, but for the Wings it was too little too late. While the Wings leave with a loss on the score sheet, they managed to dominate in the shot department by a 73-54 margin in part due to the impressive play of Warriors “tender” Aaron Bold who finished with a 61 save performance. Keegan Bal led the Vancouver attack with 14 points (5 Goals/9 Assists) and Mitch Jones 10 points (4 Goals/6 Assists), Logan Schuss (3 Goals/6 Assists) 9 points and Jordan McBride (5 Goals/3 Assists) for 8 points. The win see’s the Warriors improve to 5-11 on the year wrapping up the season with a trip to Rochester on the Easter weekend. 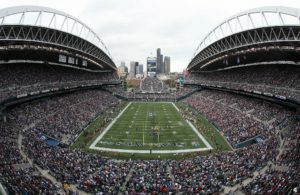 They return home to Rogers Arena for the final home game April 27th and wait to see what their playoff hopes hold for them. If you have yet to attend a Warriors game make plans to attend and you’ll be truly entertained. 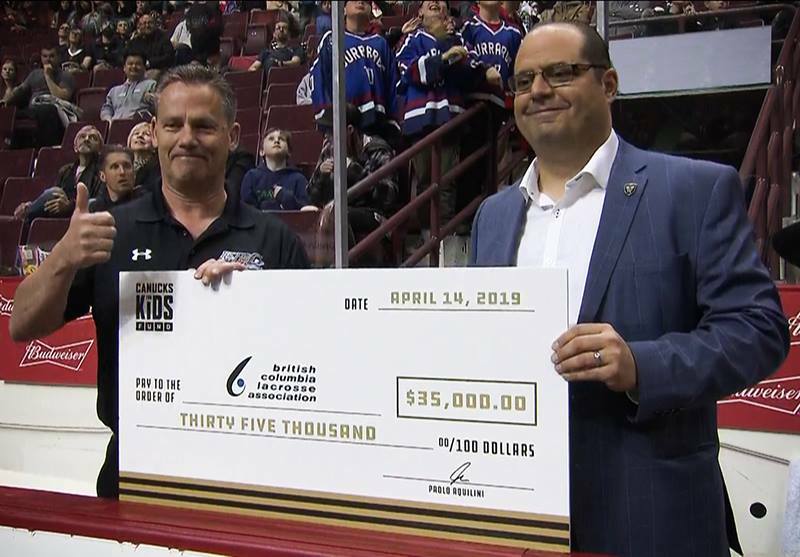 At halftime during Sunday’s game, the#VancouverWarriors presented the British Columbia Lacrosse Association with a cheque for $35,000 in support of grassroots lacrosse across the province. The funds were raised through 50/50 raffles at all Warriors home games!